Here the Irish Independent details the events of December 20th, 1940 when unidentified aircraft dropped bombs on Counties Dublin and Monaghan. Ireland chose to remain neutral in the Second World War, but there was still a fear that the country could be attacked. A state of emergency was declared (hence ‘the Emergency’), and gas masks were made widely available. 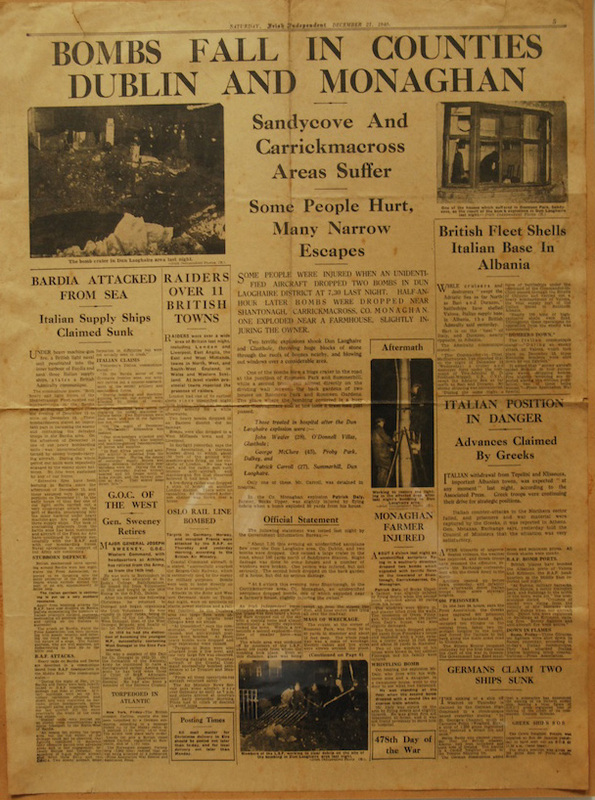 Despite Ireland’s neutrality, 28 people were killed in the 1941 North Strand bombings. In 1958, the West German government paid £327,000 in compensation to the Irish government.